An early Christian symbol in classic Celtic carved knot work. 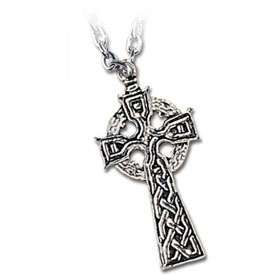 Cast in fine English Pewter, includes neck chain. Made in England. Pendant measures 1 1/4" x 3/4".